Another busy week, and a manic weekend. A decision made on the stock sourcing, company formed, first stock purchased (thanks Lou! ), two Andy Laties-inspired intelligence-gathering forays by Nic deep into enemy territory (two unnamed Oxford chain bookstores) and an almost overwhelming amount of goodwill and practical advice received which we can (to quote Dale Carnegie) "set our teeth in". It’s two months since we started this blog – and I think it’s appropriate at this juncture to thank everyone for the advice that has been received. Really – at times we’ve been overwhelmed. Aside from the comments posted directly to this blog, a few people have taken the considerable trouble and effort to contact us directly and share tips, strategies, experiences and industry contacts. I don’t think I’m overstating the case by saying that the information received is probably going to make the difference between success and failure. Saying thank you doesn’t really cover it – but the best way we can say thanks is to channel our energies up to and beyond July 1st (our opening date) and make the shop a great success. Whatever happens – you’ll read about it here first (let’s hope it doesn’t make too agonising reading). As you can imagine with a heavily pregnant bookshop-to-be (to continue dovegreyreader’s slightly disconcerting analogy) the atmosphere in the Nicki and Mark household is fairly intense- defcon 3 I would say. Even our two year-old uses words like ‘blog’ and ‘bookshop’ in casual conversation (at least that’s what I think he’s saying – he may just be asking for more chocolate) and we are having to introduce time-out periods and ‘no-bookshop’ zones into our daily lives (“first rule of bookshop – don’t talk about bookshop”). One of the things that we have discussed a great deal about is how to make the bookshop as green as possible – and we’re not just talking about our lack of experience here. My background is in sustainable technology – first in renewable energy, and for the last few years, in sustainable forestry. I don’t leave my job for a few more weeks – you can get a flavour of what I currently do for a living here. I’ve seen something of what havoc consumer behaviour can wreak on remote communities at the wrong end of the supply chain. Cheap hardwood patio furniture can often translate to stolen timber, degraded forests, corruption and oppression of very poor communities. OK, that’s a simplification of a complex situation, but all I would say is if you are planning on buying some patio furniture this Summer, check this out first (OK, there’s my plug for certified timber done – I’ll put my soapbox away). However, if you look at sustainability in its broadest sense, leave out the blatant eco-friendly stuff, and consider it from a business point of view, isn’t it just doing things in a way that ensures you’ll be around in the future? Looking at the carnage of bookshop closures recently, I’d suggest sustainability is something that everyone should get more interested in. Along those lines then – what’s our big plan to be sustainable? Firstly, get the basics right, and ensure that the business is viable. Costs down, income up, don’t drop the ball on the three biggies: happy customers, happy employees, healthy cashflow. (The “happy employees” are Nic and I by the way). Secondly – realise that long term sustainability is only possible if you are growing. Sustainable forests are partially harvested – some trees are left to grow and seed the next generation. We’ve got to try to grow everything – sales, profits, our expertise in finding great books, our understanding of what customers want from “their bookshop”. Finally – everything is interconnected, and (without disappearing up my own backside here) you need to respect and contribute to your ‘ecosystem’. 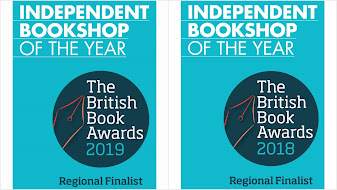 Simply put, you set out to make a positive impact on your local community, something I think the best bookshops do par excellance. And I think we’ve proven (to ourselves at least) there is just as valid a community of people online that is essential to bookselling success as there are traipsing off the street gagging for decent reading material. So – there you go – sustainable bookselling. And on that note… There was a grass-roots independent bookshop campaign launched on April 6th by Books@Hoddesdon called “Love your Local Bookshop” which we are keen to get involved in. But people shouldn’t commit to patronise local bookshops just out of some sense of duty – that’s just not sustainable. 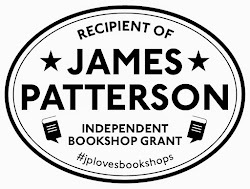 They should commit because in loving their local bookshop, their local bookshop will love them back, delivering a fantastic retail experience that enriches their life and that of their community. And without sounding too much like an old hippy, that’s a great basis for a beautiful (and sustainable) relationship. Amazing work -- the sustainable forestry stuff. And I'd never known about that Greenpeace paper initiative. I think there's quite a lot here that's applicable to the problem you face of reinventing the bookstore. (Everyone who want to survive as a bookseller has got to reinvent the bookstore.) I'd say that if you think about how the status quo is, in cutting timber -- this is quite a good analogy to the status quo in the book industry. A race to the bottom. Each participant attempts to maximize his own immediate, temporary advantage and the result over any medium- or long timeframe is actually terrible for everyone! Similarly, anyone who decided to get into the Tree-Cutting business would FIRST OF ALL encounter all the most blatantly stupid methods and tricks. Only a small number of New Tree Cutters would actually BEGIN with your Sustainability Software. Now -- this then raises the question: Is there such a thing as an analogue in the book business for your Sustainable Forestry initiative? I don't mean a direct analogy. I mean -- is there some player who's got a mechanism that makes the whole thing really workable for actual for-profit enterprises (bookstores) and this mechanism is as noble and cool and effective and logical and just as the Sustainable Tree Cutting project? And -- if, in your researches, you conclude that, NO. It's all business as usual in the book industry -- then, isn't there a pretty strong argument for YOU stepping into this gap? I mean -- this experience you've had with tracking trees in the global supply chain -- I think you'll find that the tree-cutting business is MUCH more logical and intelligible than the book business is. For goodness sake, the logs cannot be sent back for credit to the original tree cutter. Yet BOOKS are understood to be returnable to the publisher for credit? That's so strange!! And so forth. I'm simply arguing for you paying very close attention right now to the strangeness of the industry you're entering. Because you haven't been doing it -- bookselling or publishing -- you have the capacity to RECOGNIZE strangeness, and this capacity will fade as you become so adept at manipulating the existing systems that you fail to focus on the key thing: changing these systems. The current, non-sustainable system of bookselling is not an inevitable construct. It's an accident. It's emergent. It's chaos. It can flip to something else. In fact, Amazon.com would argue that IT was an example of such a flip. I'd agree. Tesco doing loss-leader pricing of bestsellers would argue that IT was flipping the system on its head. Agreed. Unfortunately, the longterm impacts of their approaches are analogous to your Tree Cutting Supervisory Patrol deciding that a good way to solve the problem of non-sustainable tree-cutting is to rapidly cut down all trees so there aren't any left, or -- just burn the whole forest down! No problems when that's finished! But--what systems could the industry be implementing that would be a huge improvement over what we've got now? “I might be tempted to suggest that a major element in capitalist development was risk-taking and a taste for speculation.... The reader will have noticed that reference is often made to the underlying notion of gambling, risk-taking, cheating; the rule of the game was to invent a counter-game, to oppose the regular mechanisms and instruments of the market, in order to make it work differently—if not in the opposite direction. It might be fun to try and write the history of capitalism within the parameters of a special version of games theory. But the apparent simplicity of the word game (gaming, gambling) would quickly turn out to cover a multitude of different and contradictory realities—forward gambling, playing by the rules, legitimate gambling, reverse gambling, playing with loaded dice.”—Fernand Braudel, The Wheels of Commerce: Civilization & Capitalism 15th–18th Century,Volume 2 (New York: Harper & Row, 1982): 578. Now -- again -- I would say that your 3 sustainability principles therefore do have to somehow additionally take into account the existence of competitors (who casually will make a sincere effort to engineer your destruction should you have any discernable success). The sustainable way to compete is to do so by altering the systems that you're supposed to be right now learning how to use. If you're using better systems, then you have a terrific lead on your competitors --they may even end up utilizing your innovations a few years down the line. OK -- here's a PERFECT example of such a Sustainability innovation in the book business. The guy who developed this software/website (called Above The Treeline) is the son of a prominent independent bookseller near Chicago. Essentially his mechanism permits participating indie booksellers to share access to each others' sales data, and the software makes suggestions to each bookstore based on how other bookstores are doing with books they're all testing. Birth plan going well, keep breathing I'm going to be round with the gas and air for you any day now. I'm getting so excited you'd think you were opening on my doorstep. Thanks for the link I've confessed to my book buying dilemma on the blog today having read the Observer piece. A commute to Abingdon would seem to be the only solution for my plagued conscience!